Located on the water in downtown Portland, Gilbert's makes a mean seafood chowder. 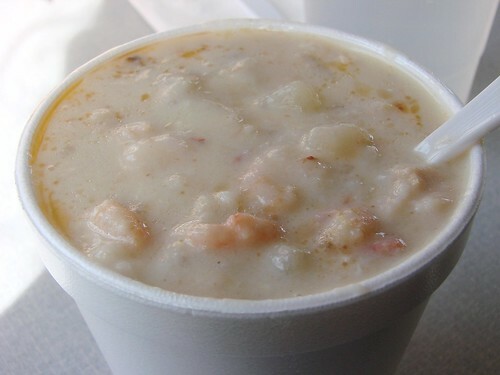 Creamy, but not overly so, their chowder is filled with clams, tender Maine potatoes, and sweet native shrimp. We always go for the off menu special "Super Seafood Chowder" which involves an extra scoop of seafood on top. Filling and delicious. Our lobster roll consumption this trip was a bit hampered by most of our go to places being closed for the season, so we decided to try Gilbert's roll. In the many years that I've been going to Gilbert's I've actually never had their lobster roll and that's a shame. 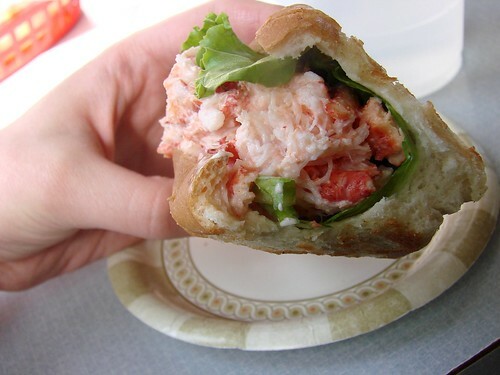 This roll was heavy on the meaty lobster chunks, ever so light on the mayo and generous on the butter toasted bun. For $13.95 the lobster roll comes with chips and a pickle, but it's definitely worth it to splurge the extra $2.25 and get it with crisp and tasty French fries. Gilbert's Chowder House92 Commercial St. I'm from New England and Lobster Rolls are always a must when I go home to visit. 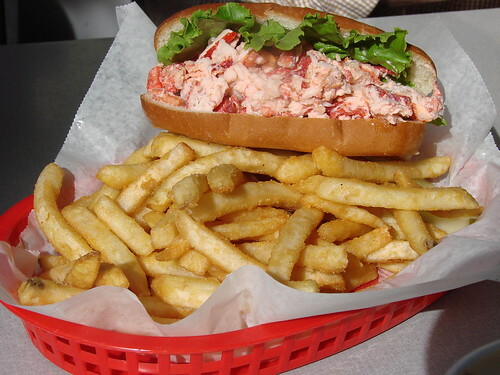 If you've never had a Hot Lobster roll - you must get one next time you're there. So much better than the cold ones in my opinion. I'm jealous! This makes me miss my homeland, Rhode Island. And Now For The Market with Workshops!! The Lower East Side is Getting a New Street Fair! Happy Birthday Miss Lady Brownie!!! It's 25¢ Blizzard Treat Week! CupcakeCamp NYC 2010 is Coming This Friday!